IPACSO is a joint project by Industry and Research partners, aimed at supporting Privacy and Cyber Security innovations in Europe. IPACSO aims to support ICT Security innovators with state of the art innovation methodologies and best practices in their innovation process, that will help them to find their road to market faster, more effective and more efficient. One of the main results of the IPACSO project is a framework for innovation development, specifically aimed at cyber security & privacy innovators. The IPACSO project was supported by the European Commission and ended October 31st, 2015. Join the Community, learn and share expertise in growing the economic potential of Cyber Security and Privacy in Europe. Upon the finalization of the IPACSO Project, one of the main accomplishments of the project is the development of the IPACSO Innovation Framework. The Framework has been under development between November 1st 2013 and October 31st 2015, as the result of the collaboration between European industry, research and a non profit innovation cluster. The model has been evaluated by innovators and innovation specialists, adapted and validated by information security professionals and ICT security companies. The IPASCO Innovation Framework is a framework to support researchers, innovators and entrepreneurs, but also investors and business support organization, next to policy makers in Europe to support innovation development via a structured approach and a series of supporting tools. The Framework is supported by advisory services and Bootcamp training services offered by the initial partners and European cluster organizations. Updates and improvements will be added going forward, so this model is not static and will be adapted over time, making it even more user friendly and adding different contents to expand horizontally. Discover and experience the IPACSO Innovation Framework and its supporting tools. Or you can start with the IPACSO White Paper Introducing the IPACSO Innovation Framework from our list of White Papers. Upon two years of IPACSO, the project team can look back to some of its major achievements : the IPACSO Innovation Framework was launched, the IPACSO Innovation Awards support now more than 50 European innovators, over 100 innovators got training during the IPACSO Bootcamps, IPACSO has published a series of White Papers and other publications in scientific and other journals, created the basis for a Community of Innovators on Cyber Security and Privacy in Europe, established foundational relationships with European clusters, European Member States Cyber Security expert groups and Economic Development Agencies, NATO and the European Commission. IPACSO was used to create new innovative products, such as the Vasco Bluetooth Digipass, and more than 96 tools for starters and innovators to formalize their innovation process. This platform has become the most significant support mechanism for Cyber Security, ICT Security and Privacy innovators in Europe. Authentication world leader and IPACSO partner VASCO Data Security shares some of its experiences using the IPACSO Innovation Framework. Get some inspiration. Learn More about this Use Case and others. October 22, 2015. The IPACSO Community today announced the 2015 Champions of the European Cyber Security & Privacy Innovation Awards. Winners were selected in seven categories, selected out of a group of 30 finalists. These companies were selected on the basis of their innovations and innovation capacity, upcoming business potential and their methods to innovate, amongst many other qualifications. The IPACSO Awards honour and celebrate the European capacity of starters, growing SME's and large companies in the domain of Cyber Security and ICT Security. Each year in October, Europe’s most innovative and forward-thinking researchers and entrepreneurs gather in Brussels, recognising those who are bolstering Europe’s cyber security landscape. With the awards, the IPACSO consortium, supported by the European Commission under FP7, support Privacy and Cyber Security Innovations 'Made in Europe'. 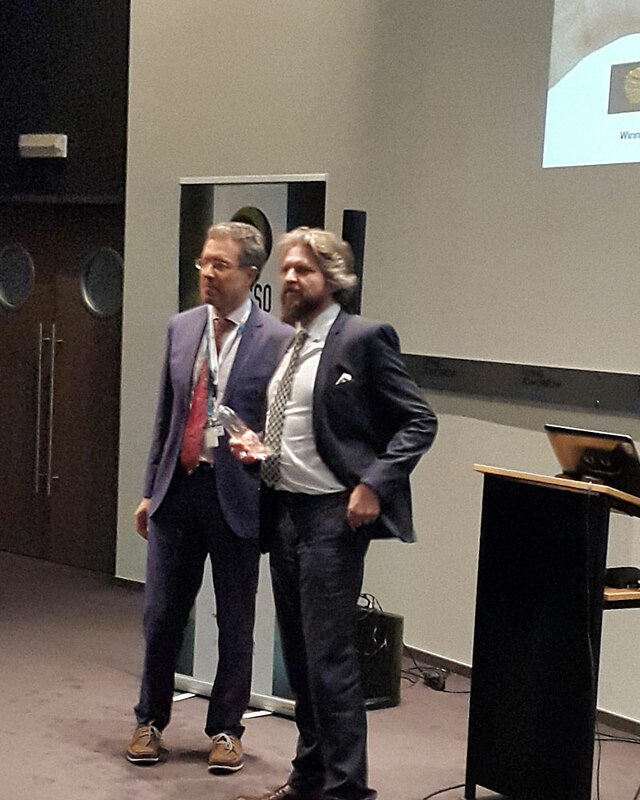 Continue reading about the IPACSO Innovation Awards 2015. IPACSO White Paper - What is Special in the Economics of Cyber Security and Privacy? - October 20th. then discuss how economics treats key features and whether the observed differences justify any ‘special’ terminology. By Dr. Nicola Jentzsch, of the DIW in Berln. Download this IPACSO White Paper from the White Paper Section of the Download Menu. Join IPACSO in participating in the various Bootcamps organized throughout Europe. After Belgium, The Netherlands, Ireland, UK and France, as a Cyber Security or Privacy Innovator or if you have the ambition to become one, join the half day or full day IPACSO Bootcamp to discover the market potential for Cyber Security and Privacy offerings, learn how to get your business started, or to improve on your current offering, help steer the internal innovation process, learn to better formalize the value proposition and market opportunities. More than 100 innovators have participated in some of the Bootcamps, leading to some interesting new Cyber Security and Privacy solutions being brought to market. If you would like to co-organize a Bootcamp or become an instructor, apply to become a partner next to our current partners of UK Cyber Security Forum, Euratechnologies, LSEC, TSSG, CSIT or HSD. 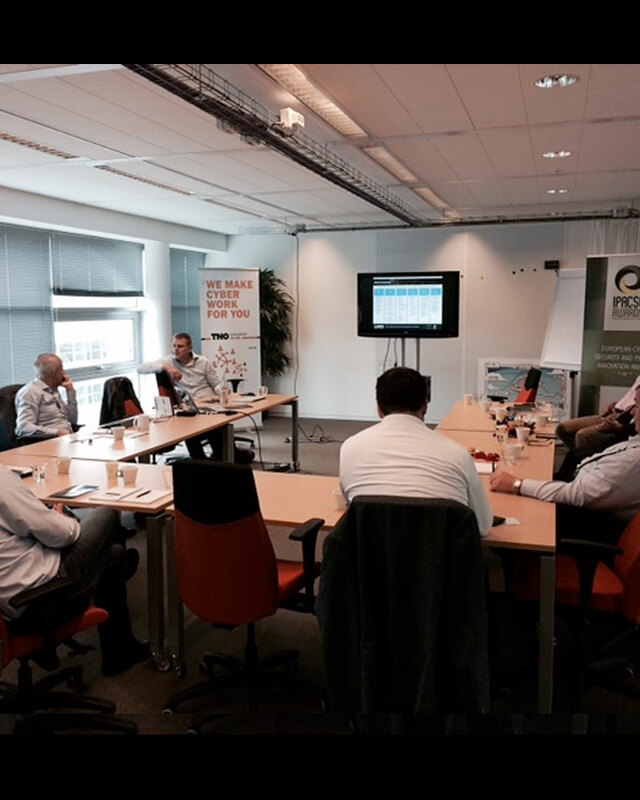 Join IPACSO and participate in the upcoming Benelux Tech Tour, May 19-21, 2015. This event organised by investors, for investors will showcase 75 world-class, high-tech innovative companies from the Benelux region, top international speakers & 10 entrepreneurial success stories from the region talking about their road to success. To be able to deliver a unique on-the-road event, Tech Tour, Startups.be and iMinds have joined forces to deliver an ambitious program for international investors taking them on a tour of the top locations in the region and showcasing its top entrepreneurs. For Investors the event brings the opportunity to see 50 emerging companies and 25 of the top selected growth companies from the region present at the event. The selection of companies will be across a range of high-tech sectors. SecurIT, one of the IPACSO Innovation booth participants at the recent FIC 2015 and Infosecurity.be tradeshows, has been selected as a Winner for Red Herring's Top 100 Europe award, a prestigious list honoring the year’s most promising private technology ventures from the European business region. 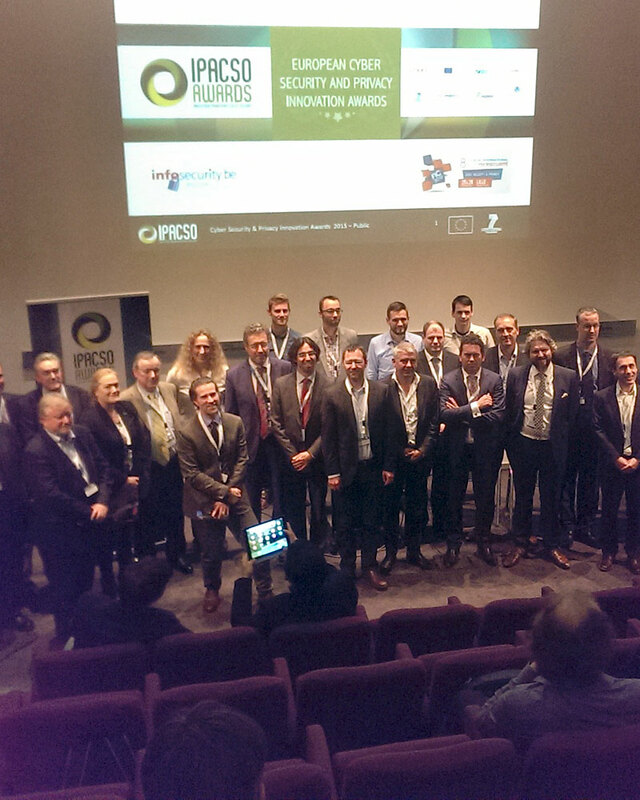 New Accelerators and "Cyber Security Foundry"
IPACSO at FIC 2015 with Innovation Award Winners to join the IPACSO Innovator Community - IPACSO boot with award-winning innovators Intrinsic-ID; and Rosberg and Trustbuilder. The Cyber Security and Privacy Innovators Community got expanded again by the two FIC Award Winners Pradeo and Tetrane. Privacy innovations also being supported in business in order to achieve a better result in trying to protect websites and applications from data leakages. The annual Computer Privacy and Data Protection Conference in Brussels is the must attend annual gathering of professional privacy experts. Well attended by advisors, legal experts and policy makers, this is the gathering for the latest academic developments and business connections. With the Cyber Security & Privacy Innovation Awards, the IPACSO consortium, supported by the European Commission, awards Privacy and Cyber Security Innovators in Europe. The award Ceremony took place October 23rd 2014, with inspiring presentations and interesting discussions. Sign up now to join our first innovator bootcamp for Privacy innovations and join the likes of companies such as Silent Circle, the black phone, or Sedicii. Learn about the economical incentives and market developments in privacy and data protection. 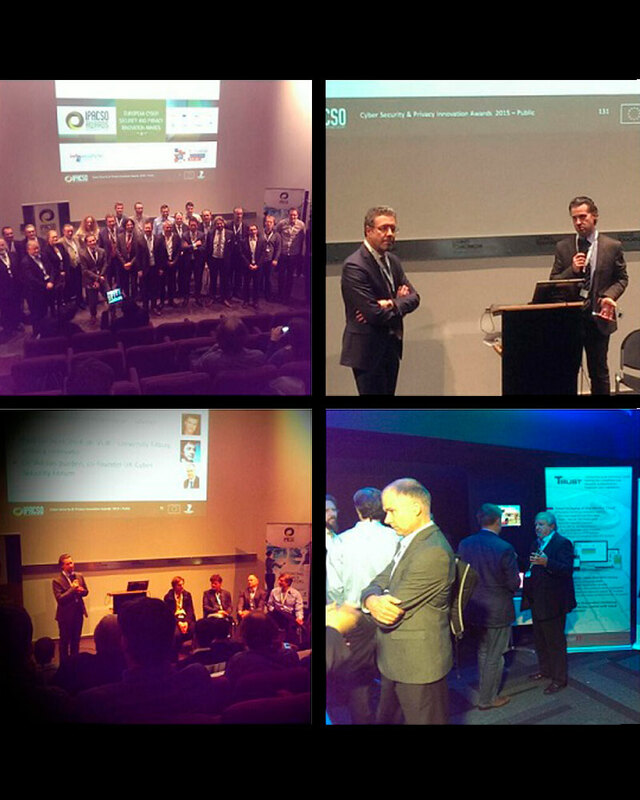 FIC 2015 is the main annual cyber security event in France, in Lille. Join the various experts, discussions with the French Ministries and departments, establish partnerships and learn from peers. (industry news) In August 2014, the CB Insight, Venture Direct/Dow Jones and the WSJ reported about the first half year of private equity transactions in cyber security. There is a lot of investor interest, also for early stage, global and in Europe specifically. Follow some of the recents posting to learn more about it. (project news) Entrepeneurs and innovators are invited to participate to the IPACSO Cyber Security bootcamps. The IPACSO project focuses on supporting innovators, based upon proven methodologies from other industries, but applied to the ICT Security landscape based upon experiences and expertise from other cyber security innovators. In August 2014, the WSJ reported about the first half year of private equity transactions in cyber security. There is a lot of investor interest, supported by the growing market demand and stream of reports on breaches and incidents. 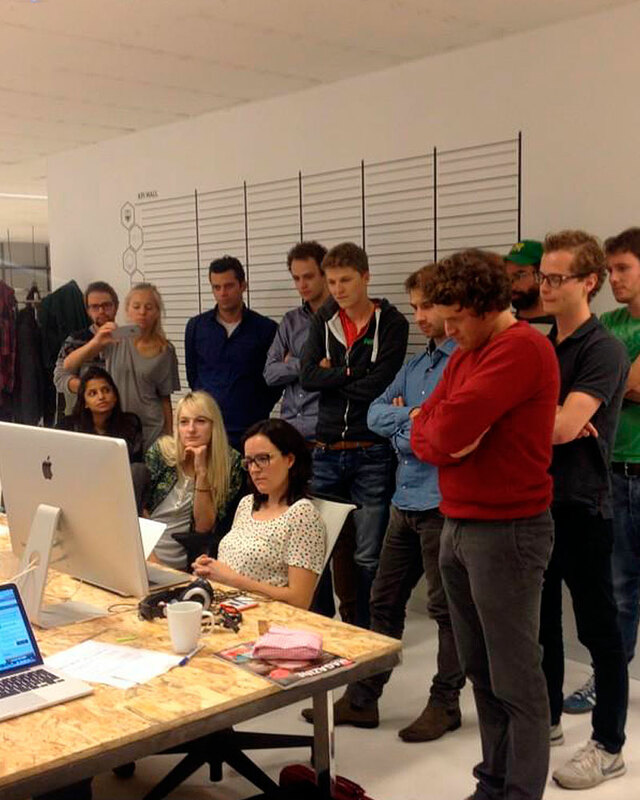 The first bootcamps took place in July 2014, with follow-up sessions in September. Read all about the developing plans of our ventures shortly. Do you have an interest in joining the group, to share and learn experiences with your peers, feel free to contact us directly. IPACSO unites innovators, policy makers, investors, and all other security stakeholders that want to keep up to date with the latest solutions, research and products in the security and privacy domains. Register yourself and your organization and join our community of stakeholders. You're welcome to share your experiences as Cyber Security or Privacy Innovator, or learn how to become a successful innovator in this domain.